If you've read a lot of my reviews on here you know my family is involved in a lot of outdoor activities. We fish, hunt,and camp a lot. The gear we use for all of these activities is very important, and has to be tough. So I have to tell you about the newest addition to our night time outing gear. 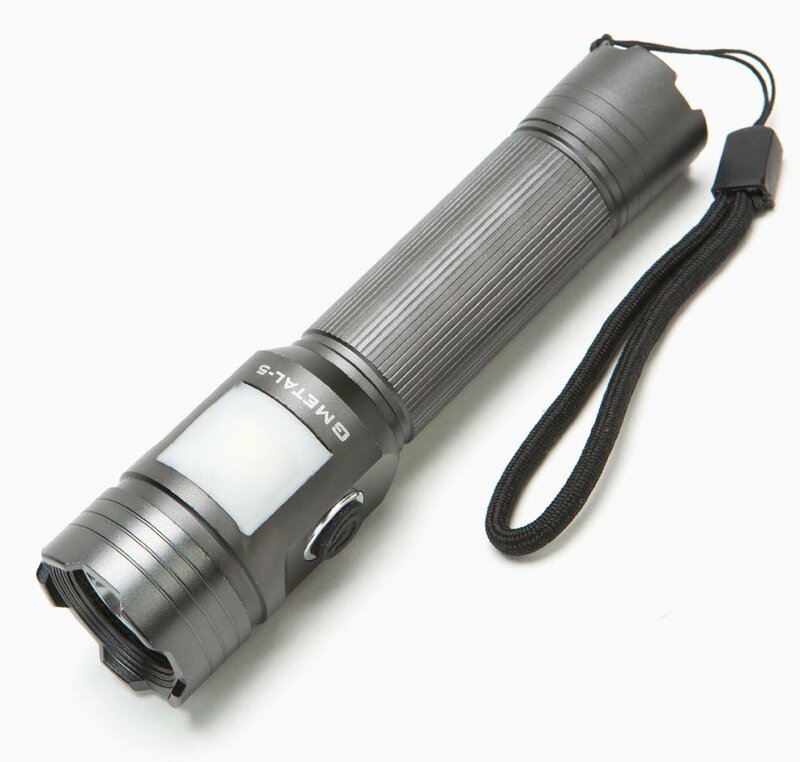 GMETAL-5 Dual Function Lantern Flashlight is a awesome flaslight/lantern combo. You can either stand it up or let it hang from it's lanyard to use the lantern feature. That way your hands are free to do whatever you need to do. This isn't just your run of the mill flashlight either. It is crazy bright! 500 lumens bright. This is one tough light too. It's waterproof and shock resistant from about 3 feet, and has a lifetime guarantee. Now that's the tough kind of equiptment I like to have.It comes with a USB cord, that's right, it's rechargeable. It has a full charge indicator to let you know when it's fully charged. I know everybody will be grumbling about who gets to carry this light on our next outing. I have news for all of them, it will be me.